How to increase car count in a new shop. I opened up my new shop about two weeks ago. I bought an older building that was pretty run down, but had a bigger lot, came with another smaller building for an office/waiting area, and it was on a busy main avenue that backs up to a large residential area. I spent all summer rehabbing the building. I re-paneled the three garage doors, painted the existing wood siding, fixed the inside, added a bathroom, fixed the exterior of the small building (I have not started on the interior), added lifts, machinery, electrical etc... then I ran into a problem when I opened.... I have little to no drive-in business from the street. My building sits at a Fork in the road, right in the middle of the fork is an established tire shop. They just sell used/new tires and do light brake work. They don't have any lifts or equipment outside of tire machines & balancers. It is a two bay shop. To the south of them is my shop. At the front of my lot is the small building, then in the back is my garage. I'll admit the garage can be hard to see at times as its 100ft off the road with the small building blocking a lot of the view. I placed a 10x3 banner on the side of my building with a sign that says DUKE AUTO SERVICE and a big red arrow pointing to my garage. I also rented one of the 4x8 mobile signs yesterday. On the front of the building I placed a 6 foot banner that says DUKE AUTO SERVICE NOW OPEN and I listed some of what we do underneath. I visited some of the used car lots to introduce myself etc... and try to get some work from them. One problem I am having is I am not from the area, its about 30 minutes south of where I live. I don't have many/any connections. So far most of the work I have done is from neighboring businesses and referral, but I need more. Any tips from those who run shops that don't sit right on the sidewalk? I am looking for realistic ideas for my situation, radio & TV are not in the mix. I placed an ad on craigslist (so far a waste of time), I am actively pursuing used car lot work, and passing out business cards everywhere I go (you'd be surprised how many businesses DON'T want your card). Make sure you have a website that shows up on the top of google searches. This takes some time but well worth the investment of the time. Make sure you have your google map places marked and verified. This can be done just by googling your business name and making sure you add the pictures and information so people can find it. I have also found that having a great relationship with your auto parts store employees is very good for business. Again, this takes a little time but in my small town there are 6 shops and I get a lot of work referred to me above the other shops. I would dedicate at least one morning or afternoon per week to cold calling prospective businesses. I wouldn't stop until I get my traffic up to where I need it to be. I would build a relationship with the tire store you mentioned. Take them donuts. Let them know that you want to get referrals for the things people need that they don't do. Tell them if they have a problem with a customers car and need help beyond what they do that you will give their shop a special break. If you have a Walmart or a Discount Tire near you this technique will also work with them. Also always collect complete addresses, and email addresses so you can send out a weekly email with a special or just to give some advice and let them email you with any questions they may have , Set up a Facebook page and make a small flyer to staple to every invoice sending them there to Like you and post news, information, specials , classic cars that come in for repair keep in interesting enough for them to always open it , their on plenty of You tube videos that you can post concerning car care, winter driving etc on you facebook page. Everyone has great ideas! The key to any business is creating a buzz in the community. Each customer experience must be world-class. Let the people who meet you become your sales people. Consumers are looking for value, (that does not mean cheap prices either). Get involved with the local community is key. Keep meeting people, the more you meet the more people will learn about you. Be patient it takes time. Once you can attain some sort of budget, start adverting. It could start in the form of direct mail, emails, etc. And yes, gather emails and stay in touch with all customers by doing follow up calls, service reminders and other seasonal promotions. Good luck and stay positive, you will make it. I am in the same boat. I own and run an Audi & VW shop. I went to vistaprint and had a bunch of oversized postcards made up. They turned out really nice. I drive, walk, and try to talk to everyone. I hand my postcards out, put them on all the audis and vws I can see. I have been trying to find a good mail marketing company, but have had issues since most want a min. order. Can you buy a list of VW and Audi owners from the department of motor vehicle or is that a privacy thing? No. I guess there was a law passed years ago protecting that info, but Mudlick did say there was a loop hole. They said in my state they can take info they have of owners and scrub it against the dmv records and come up with a pretty accurate list. Mudlick Mail was the only mailer to tell me this and give me this info. They came up with almost 1000 owners within about 5-7 miles and another 7000 anywher from that 7-20 mile range. They have a 5000 min. order at 42 cents a pop plus a 75 dollar trucking fee. So it would cost me 2125.00 to do this mailer. Im really not sure what to do. I really don't know what else to do. I know a lot of those mailers would be trashed, but if I can get 2% percent to come in, would it be worth it? The exsposure would be nice, but hell I could hand out a lot of free oil changes with inspections at that price. Any advice, info, comments would be nice. I wanted to chime in on the use of lists. Our shop is also new and focuses purely on Mercedes Benz and BMW. I acquired a list of MB and BMW owners from a legitimate company that included almost 3,000 records of owners. Each record included the names, addresses, car make, model and year, and other key info, and was emailed to me in Excel format. I was able to verify the list because I know a lot of the people shown in it. I also use VistaPrint, and design a monthly oversized postcard that i've been mailing to a selected group from my list. I say selected because I'm only spending what I can afford each month. Generally speaking, 300-400 cards a month runs less than $500 though, and this has proven to be successful in bringing in new customers. I've been pleased with this and plan to keep doing this on a regular basis. You have to manage your expectations, however. So far, each mailing has resulted in 5-10 customers. On an annual basis, this type of marketing may generate 60-120 customers. I view this as only one way to grow my business, however. The use of other techniques- I also hand out cards at shopping centers, etc.- may generate a like amount of customers. So I'm resolved to managing te marketing in this manner, ie, a consistent steady use of multiple techniques that have proven successful in generating business. Best of luck...it will happen for both of us! Memphis Rob what company are you buying your list from? I also use Vistaprint and order the oversized postcards. This week I went and handed out about 200 of them at the local Unversity, Apartment Complexs, Mall. Within three days of handing out those cards I have had 4 people come into my shop and 3 others call and make appointment. I order another 2000 oversized postcards from vistaprint. I will be going back to the University. I ran out of cards. Plus I will go and hit the night classes and different times during the day. I would like to also do a good mailer, but as metioned above their not too cheap. I have dedicatd at least one hour a night of driving around and putting the postcards out on cars. I Run an Audi & VW shop and will be getting some really neat graphics of my logo on my car. My car is pretty unique and it turns heads so I will use it even further to do more advertising. Another thing I have started doing is buying cheap Audis & Vws that are broke. I fix them up and sell them. I offer a free oil change with the purchase of the car. Bottom line don't stop until you have reached your goals, but when that happens have another set of goals ready to be achieved. Yeah somedays it gets discouraging and I ask myself what am I doing, but then theres the days where everything goes right and you know you made the right choice. Well a little update. Since I made the original post, I have had a few advertisement companies come by. Most of them are coupon books that want a 3 month commitment and they cost right around $1100 for most of them. I was a little turned off by them since they did not offer any statistics on how many coupons are generally redeemed per month in each industry. At this point I can't afford to take a chance on it. I had a lady visit that runs an independent marketing company and was working on an advertisement flyer with the East of Chicago Pizza Co. which is less than a mile down the road. I signed up to have my ad placed on 10,000 pizza box flyers (should last around 6 months). I put two service coupons on the flyer, and it comes out in February. She said they see a return of about 1-3% on coupons (100-300 customers). For the price I am paying, even one customer redeeming a coupon will pay for the ad. Other than that I had some bigger jobs come up which have helped take the heat off me. I haven't had any response from my mobile sign so far, but my business has been open hardly even a month yet, so I am still optimistic, and I believe tax returns will help bring in new customers. I tried pizza boxes once and received no response. On the coupon book were you looking at a page or half page and how many are going out. WE use Reach and have good results. they were half page advertisements. Midnighteuro, do you have a pretty good return on the post cards being placed on vehicles? I would love to put ads in coupon books, newspapers etc... but at the moment it is just not in the budget. Postcards I am sure are more affordable and something I am willing to try out. Honestly. I don't have good return I have great return. In the last week I have passed out about 200 between me, my dad, my wife, and other people passing them out. Out of those I have now had about 5 people call in and schedule stuff for when they get taxes. Then I have had another 5-7 people come in and spend over 800 dollars in repairs. I just bought 2000 more from vistaprint. I am about to get real crazy and spend most of my free time driving around and tagging the Audis and VWs. 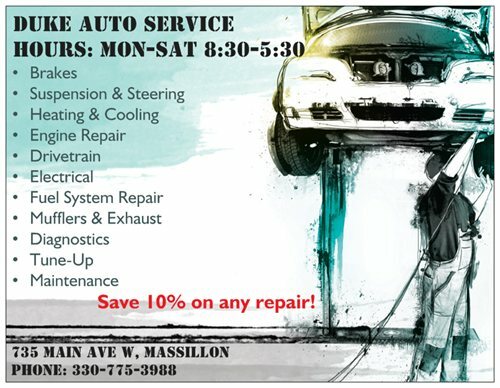 I feel its been a good rate of return so far plus I know there is people out there who if they need an oil change or an issue with their vehicle they have my ad and will call me, so its been a great return. O I don't put them on the windshield I slide them in the driverside door until they are tight enough to stay, but you for sure know the owner is gonna see it. I looked into the half page advertisements and did some thinking. First off an Audi/Vw owner has to actually see that ad then on top of that they actually have to decide to come in. With my form of advertising I know exactly who is getting it, so I eliminated the first part. I talked to another Euro specialty shop further south from me and he says he also buys email list and has done ok with that. I eventually will do something else, but right now I have plenty of time and not a lot of money so my method is working for me. Are you just simply advertising your business on the postcard, or are you offering a discount along with the post card? I purchased my list from a group called Pinnacle Lists. Just I be clear, I have no ownership or financial interest whatsoever in them and I found them on the web. My experience was good- they were professional and i got a good list at a legitimate price. Here's the contact: [email protected] He's very responsive. Good luck! I offer a 15 percent discount on labor when card is presented. Yeah that looks good. Did you do oversized or regular? Also do you have a website that you can put on there? The shops that specialize in certain makes of cars have an disadvantage and advantage when advertising. The disadvantage is that conventional means of advertising radio, TV, newspapers, coupon books, etc. are too broad. You are paying to reach people who drive vehicles that you do not service. However, the advantage is that if you can identify your clientele and market directly to them you should have a much higher rate of return than the generalist does with advertising. If I were a speciialist I think that I would advertise exclusively by purchasing mailing lists of my target market and using direct mail. The challenge is identifying good list providers. Once you have a good list you are sitting on a gold mine. I got laid off March 2009. Been in the Car business for over 19 years then. They gave me 6,200 in severance pay. Took that money and with a bunch of prayers opened my own business. I want to say it was harder than I thought, but in reality it was much easier than running my old bosses' shops. Cheap rent but not on a high traffic location. $1,500 month. per mo. About $11,000 in expenses per mo. Took than number and double it $22,000 per month and made that my target revenue. That meant I had to sell about $5,500 Per week. Or 80 bill hours at $69. At 22K month sales I was projecting $264K sales for the year. I took that figure and planned on spending 6% of gross sales into marketing expenses. That would be about 16k per year in advertizing. That Worked out to about $1,350 per month in advertizing. Now, knowing my marketing budget I have stuck to it religiously. Taking my monthly budget, I have flyers printed and passed out every other week. I have sponsored a local magazine that runs a full page ad of my shop in it and I help the editor in distributing it. results - three years plus later About 50K in sales per mo. and looking to move to a much larger building.... 2 mechanics, a helper/tire guy, and me.